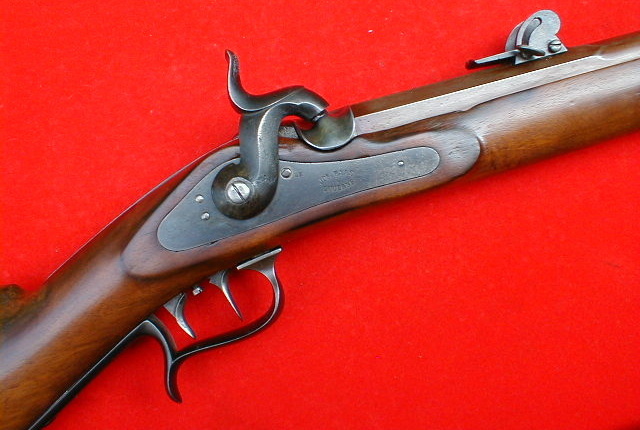 Swiss percussion stutzer M.1851. 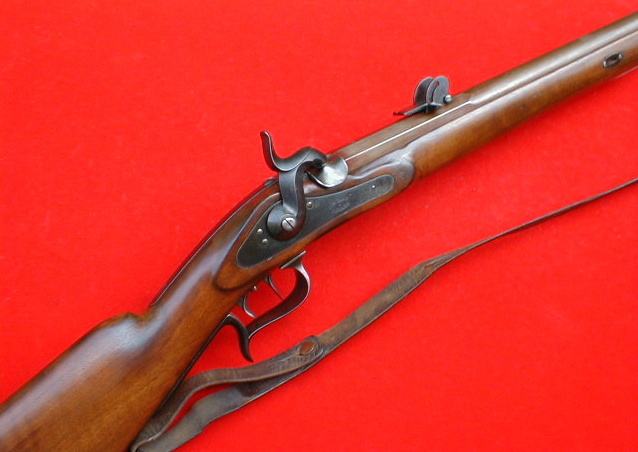 This was a first issued European military rifle in small caliber (10.4 mm). 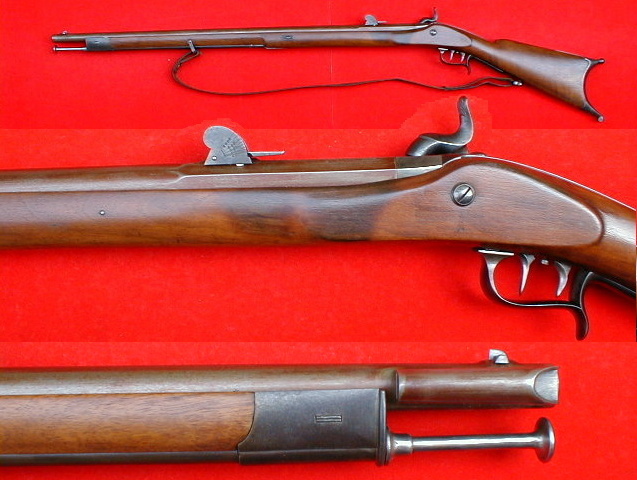 According to the Swiss sources the stutzer is a type of carbine, although the weapon is long enough to be considered a rifle. The lock plate displays Belgian gun maker markings, "Crown over BF". 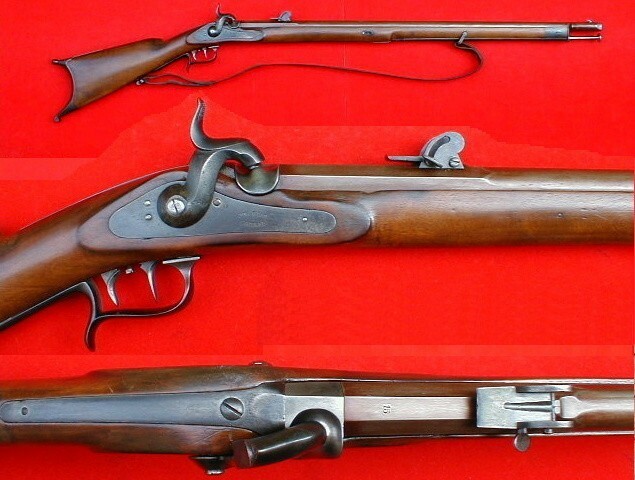 Belgian gun makers manufactured percussion locks and complete muskets for various Swiss cantons. 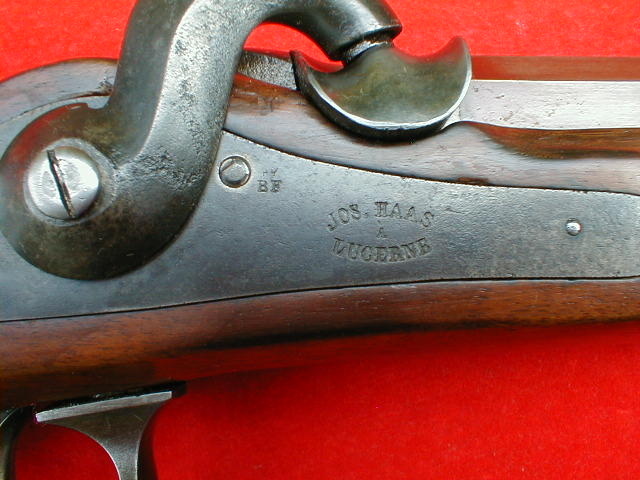 The name of the Swiss gun maker is also present on the lock plate, "JOS. HAAS A LUCERNE". 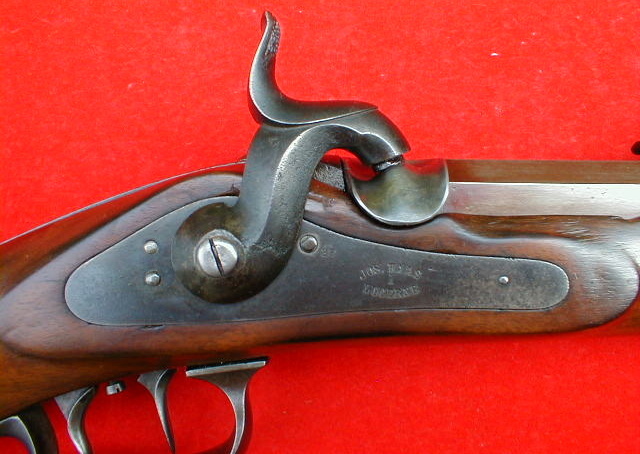 The issue number, "15" is stamped on the back of the barrel. 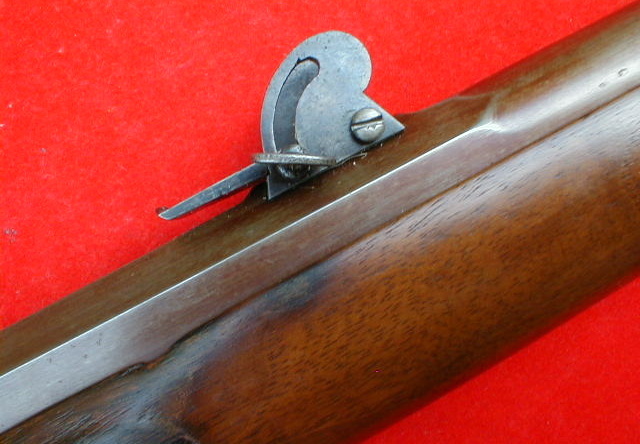 No other markings are visible on the metal and stock. 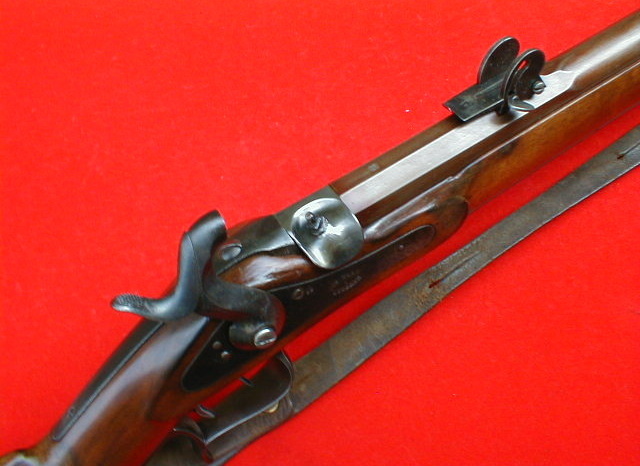 Double set trigger mechanism. Swiss style buttplate and rear sight. 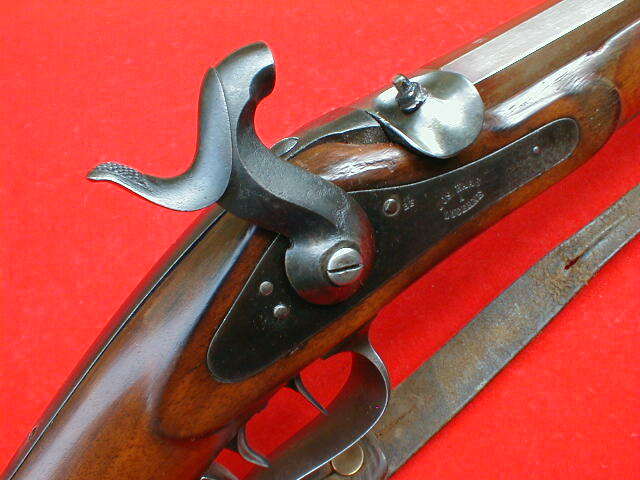 Two military style sling swivels. 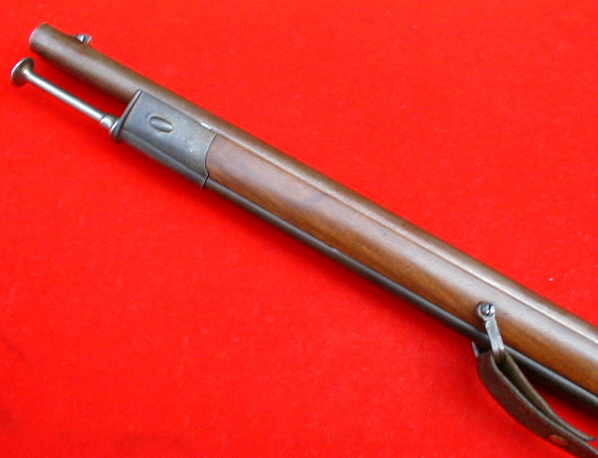 The bayonet lug is located on the right side of the heavy, round barrel. Overall length: 49.5 inches. 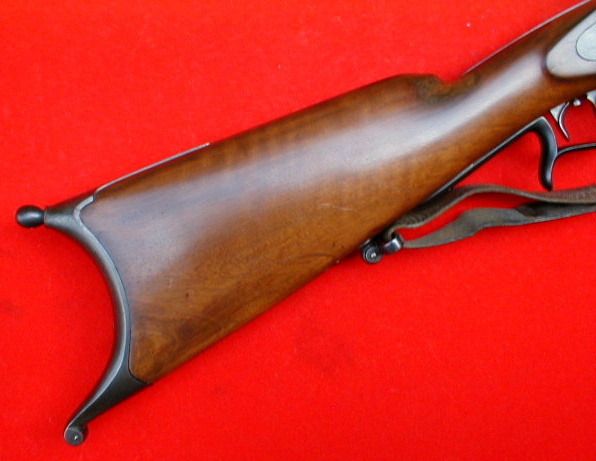 Barrel length: 32 inches.